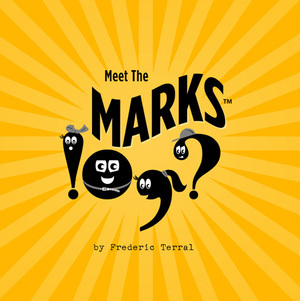 Frederic Terral of Right Brain Terrain, creator of the Alternative Motivation Posters, has revamped his punctuation story for children, "Meet the Marks". Check out the entire book, now available online. 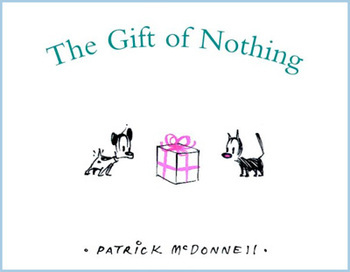 I think there is definitely a market for this type of book—something simple and fun about basic punctuation, with captivating illustrations and interesting characters. When young children are read to and they begin to pick out letters they recognize in books, questions about what periods, and especially exclamation points, are quickly follow. Both kids and their parents would enjoy something to read aloud, perhaps even a board book depending on how long the book is and for what age group it is intended. I wonder what Mr. Terral's intentions are for "Meet the Marks". I'd like to see where he goes with it. Root for the little guy, for he is us. The above video, "i lived on the moon", has inspired me to poetry. It is animated by Yannick Puig, who was inspired by the band Kwoon's music to make this for their song. The combination of image, story and soundtrack are absolutely stunning. I've been living in an imaginary world lately. My young one has reached the age where an unfamiliar sound outside the window most definitely means a lion is approaching. We instantly morph from parent and child into two explorers saving baby animals as we run from the predator, our arms full of plush creatures. Tinker toys become a satellite space station, until it breaks and spills rocket fuel all over our carpet. Then a dinosaur with a mop appears but admits it cannot clean the entire mess by itself. So three firemen, one firelady, and another dinosaur with a special "cleaning mouth" show up to help. And these were just some of today's adventures. At this age, children create imaginary monsters and conflicts in order to problem solve, to develop mastery over social skills, to learn to deal with emotions. Seeing this now with my own child, it's so clear how this rich pretend world helps to cement feelings of self-confidence and budding independence. We have to do this, and we've all gone through this. We humans are wired to do so. The mythical quest to overcome obstacles and grow beyond them will forever be a basis of our stories — our most personal and private ones, and those we share as a culture. And I am at my tree. Because I can fly now! Visit Poetry Thursday for a vast collection of poetry from our community. You love words, yes? Of course — that's probably how you wound up here. I've been trying to think of an extremely creative way to share some interesting wordy/creativity links I've come across lately at some really well-done blogs. After much thought, what method did I come up with? Feature a list. Ha! Simple works just fine, and I'm glad I remembered that. The arctic winds kept us trapped again. As the clarifying winter sunlight streamed in from outside, I mused what next activity could take us further through the endless-inside afternoon. Vibrant purple, blue, red, green, orange and yellow plastic shapes shimmered on the floor. I gathered them in my arms, placed them in a candy-striped hinged box and said, "Let's go spell 'cat' on the refrigerator." "Cat!" he shouted. "I love cat!" We trotted into the kitchen and plopped down onto the tiles in front of our huge palette. "C-A-T," I said, pulling out three magnetized letters and placing each carefully on the ivory door. "That spells cat. Caaaaaaatttt," I said slowly, tracing my finger across the letters. He grabbed a bunch of the letters and smushed them quickly onto the fridge. Too many consonants, letters upside down and sideways. "What does that spell?" he asked, proudly pointing at his "word." "Hmmm," I said thoughtfully. I narrowed my eyes and drew in my lips, trying to devise a way to actually speak what he'd created: an upside down U next to a sideways G, placed above an upside-down R and M, layered on top of an upright E, a sideways D, and an A. "Uggerm-eeduh," I said, smiling as I slowly pronounced it. Peels of laughter answered me. "Say it again," he implored between the snorts. "Ha ha ha ha ha! Again!" "Uggerm-eeduh." Now I was laughing. Winding down into a sparkling grin, he grabbed another random letter out of the box and placed it next to the A. It was an I. "What does THAT say?" He tapped the fridge hard, eyes wide and smiling already in expectation of more spoken nonsense. "Uggerm-eeduh-EYE," I said, placing extra emphasis on the I-sound as I pointed to it. He giggled so much he was almost silent. Then he took a deep breath and reached for another letter. I puzzled out these evolving words for another fifteen minutes. 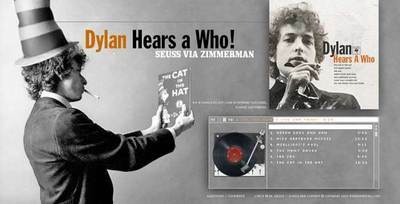 At laughter intervals, I'd return to ones like "hat" and "hug" to show how letters could form names that were part of his daily life. Because every-day concepts and objects, grounded in reality, should be interesting. The child mind does not work this way. What's more interesting: hearing your mother say "rug" or "oomeg-erex-quig-idy-thut-ed"? I let myself fall into the silly magic of sounding out his creations. He made them and laughed and slapped the floor with glee every time I pronounced them. My sounding them out also confirmed that they were real. Nonsense is relative. Play is crucial. Recognition in parents' eyes means the world. Shared problem-solving creates more understanding not only of the task at hand, but also about each other. For more takes on "puzzled," go to Sunday Scribblings. Image above from MEET THE MARKS — A Children's Book by Frederick Terral. It's a work in progress and hasn't been published yet (it can be read online at the link above). Looking at this as a writer, editor, former teacher and mama, I think Terral is on to something. I'm interested to see where he goes with it. Found at Right Brain Terrain via NOTCOT. Q: What would the world be like without giggling babies and panda kindergartens? A: Take a look at these videos and decide for yourself. Thanks for [BB-Blog] for the cute links.